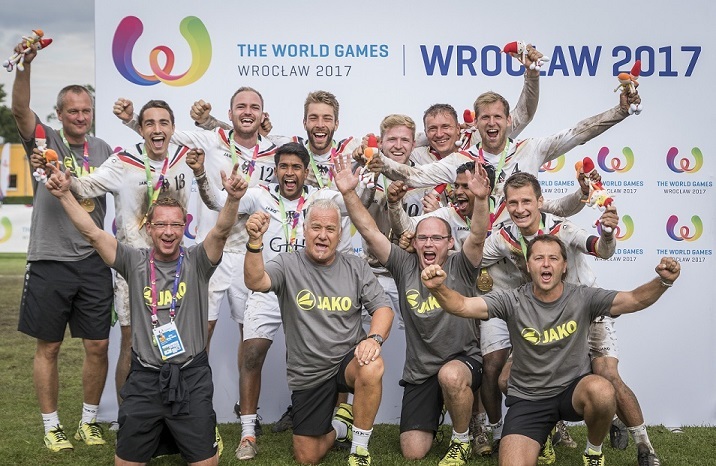 Germany has successfully defended its title at The World Games 2017 in Wroclaw, Poland. 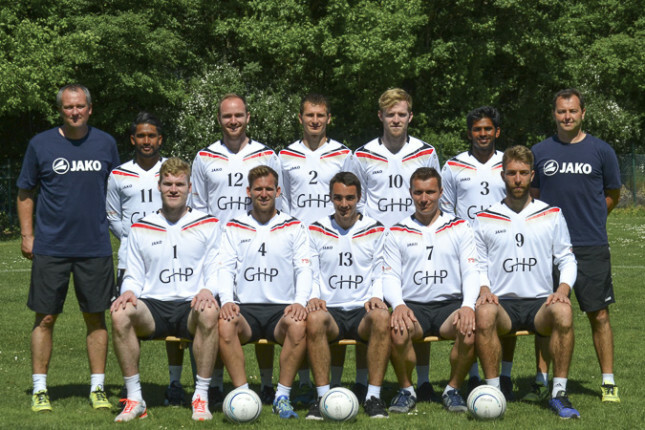 In an exciting final, the team of coach Olaf Neuenfeld won against Switzerland 4:3 (09:11, 07:11, 11:06, 07:11, 11:08, 12:10, 11:09). In a rematch of the final 2013 in Colombia, the German team delivered a strong team performance and won after the last World and European Championships also the World Games title – despite bad luck in the first match, where Germany lost its main attacker Patrick Thomas due to a serious shoulder injury. 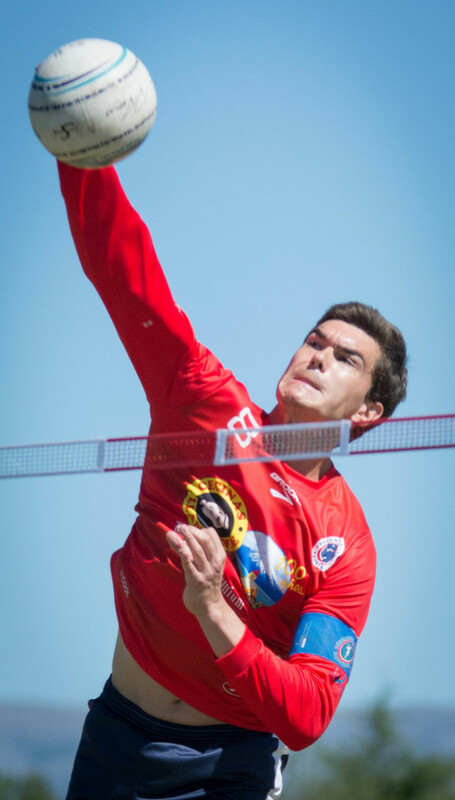 In the subsequent matches, Steve Schmutzler, Lukas Schubert and Nick Trinemeier had to compensate for the loss of Thomas, and confirmed their world-class levels. AT first the fans witnessed a powerful start by the Swiss team, pulling ahead early in the match with a 2:0 lead. The Germans could bounce back and narrowed the gap to 1:2 with a superb performance in the third set. The Swiss team kept cool and was all over Germany in the fourth set, extending their lead to 3:1. Despite the set deficit Germany kept up their level, showed no signs of surrender and got back into the game winning the fifth and the sixth set to level the match. Driven by the huge number of fans the German team finished their masterpiece in the deciding set. This epic 7-set win lifts Germany on top of The World Games podium for the sixth time. 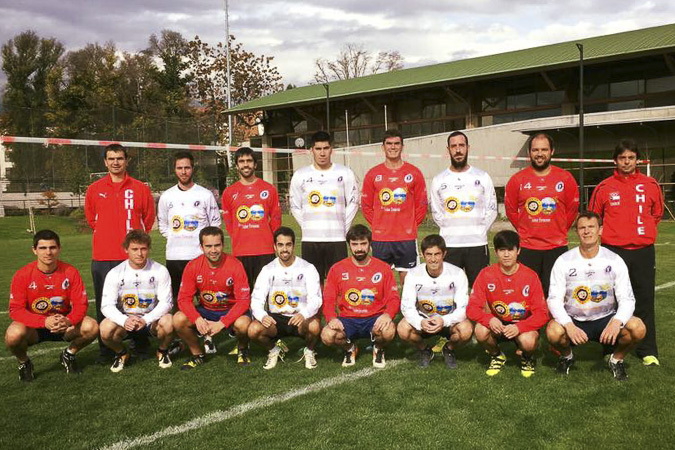 The World Games 2017 Fistball Tournament in Wroclaw, Poland started on 22 July. The Final was played on Tuesday 25 July. 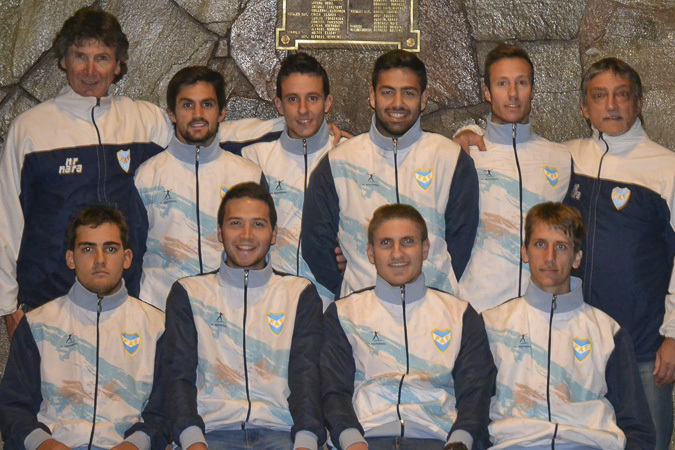 With defending champion Germany, the European teams from Austria and Switzerland, as well as the South American teams from Argentina, Brazil and Chile the currently best six teams worldwide had quallified. 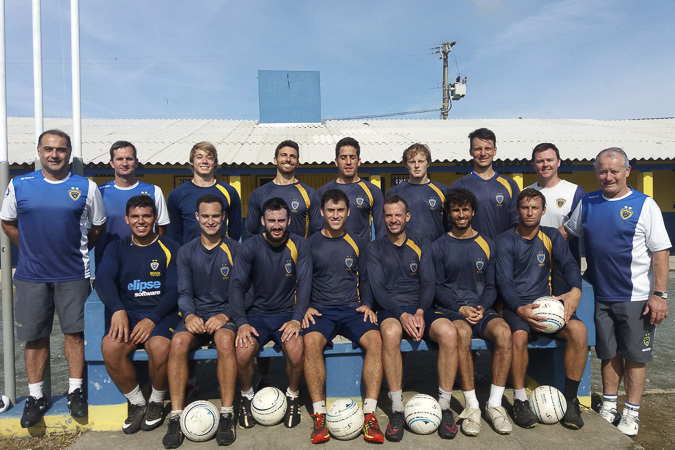 For Fistball, the International Fistball Association and its member federations The World Games 2017 were very successful. The thrilling fistball final between Germany and Switzerland not only captivated the spectators in the stadium. The transmission of the final reached almost 300,000 spectators on the TV Channel SPORT1. The market share of SPORT1 was at a strong 3.0% in the SPORT1 core target group of men from 14 to 49 years (M14-49). This is the best figure during all days of the SPORT1 TV coverage of The World Games 2017.  All matches have been broadcasted and are available on ifa-fistball.tv. The Olympic Channel covered the Gold and Bronze Medal match including an English Commentary. The World Games Fistball Tournament Final on the Olympic Channel. The Bronze Medal Match on the Olympic Channel.